This is precisely what I'd like to have in our house to cure my next case of writer's block. 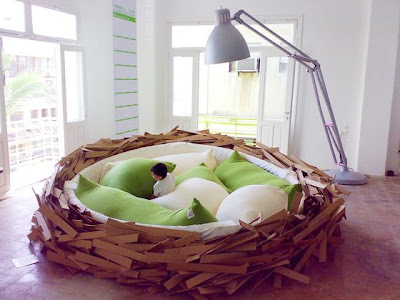 This giant birdsnest for breeding new ideas would have me cuddling up next to inspiration in no time. Building and then jumping into one with the kids would be a fun way to spend a rainy afternoon.